Long before Hideo Kojima hit game design infamy with the Metal Gear Solid series, he designed an adventure game called "Snatcher." It was a Blade Runner ripoff starring a goofy cyberpunk detective named Gillian Seed, and his robot sidekick Metal Gear Mark 2 (later featured in Metal Gear Solid 4). While Snatcher did alright in Japan, it fared terribly in its solitary Western Sega CD release, selling a mere one-thousand or so units from the 250,000 produced and shipped. So when a "spiritual sequel" was made in the game Policenauts, there was no porting it over to America or Europe. In fact, years and years later, Policenauts was the one Hideo Kojima game never to have an English release. In 2008, I contacted junkerhq.net - a website/group of Kojima fans who claimed to have translated the game script, but were not able to re-insert it into the original game. 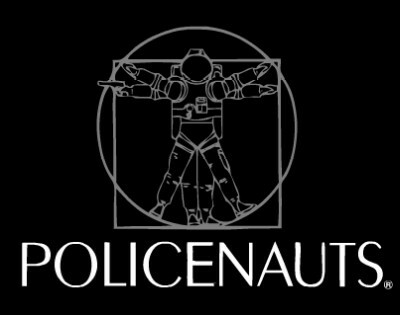 and proposed that we do a Let's Play of Policenauts. One thing led to another, and I ended up taking on the role of the third project coordinator and programmer. Along with the project leader and Junker HQ (Kojima fansite) administrator, Artemio Urbina and the game's translator, Marc Laidlaw (not the Valve guy), we ended up reviving the project and finishing the translation ROMhack. You'll be reading a lot about this in this thread if you so choose. I had no intention of ROMhacking the game when I started the Let's Play. I'm glad it happened the way it did, but I originally thought the game would never get translated, and the LP would be the best we could get to playing Policenauts. In the end, though, I've played Policenauts a lot. I've seen it crash hundreds of times, I've cursed every Konami programmer and graphics designer, and at one point, I watched the project almost fall apart and eight months of effort nearly go down the tube. It really, really, really took a lot out of me. Over two years later, I think I'm ready to give the Let's Play another shot. "I would have preferred a funny video with you and Diabetus, like that one Snatcher VLP"
Follow me on Twitter, I'm @slowbeef. I never, ever use twitter but now I'll tweet updates to this LP and supplemental videos. By this thread's conclusion, I'd like to have some alternative content like solo videos, VLP stuff where Betus and I take the piss out of the game, stories and articles about ROMhacking, all that fun stuff. 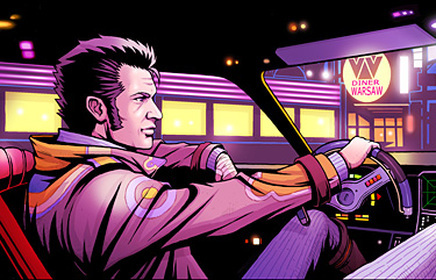 Suda51 wrote a prequel to Snatcher! Sorta! It's a radio drama called Sdatcher that Junker HQ is unofficially translating! This is Jean-Jack Gibson from Snatcher, after Suda 51 redid him.